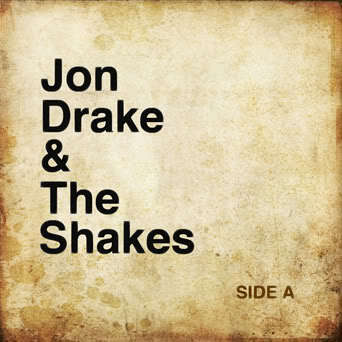 Jon Drake and the Shakes know how to layer sound. Each texture within these four competent tracks rings out bright and clean, every sound working fantastically alongside the rest. The swoops of strings and brass sparkle against the bellows of the bass while Drake's vocals glide smoothly on top. He's working with a powerhouse of musicians—there are eight total Shakes, including Drake—and the resulting rich instrumentation works wonders against the writing. SIDE A features the instrumental lushness of a Sufjan Stevens creation while never taking itself quite so seriously. "Elizabeth Johnston" kicks off hard, bass quadruplets rolling along underneath Drake's overdubbed vocals. The chorus brings us somewhere nearly anthemic as Drake and friends shout along with, I imagine, at least one fist in the air. The song then drops away to apreggiated strings and acoustic guitar, baiting us back to the build and rewarding with its energetic finish. "Rattles and Snakes" leads us in a more contemplative direction, with its long instrumental introduction delegating Drake's wordless hoots to the background. When the curtains fall away, we're left with acoustic guitar and vox in a somber state. The strings slip back in towards the end of this melancholy passage, but luckily Drake knows how to hold the reigns on melodrama and ensures we don't leave on a sour note. "Gustav" ends the EP with a swingy country romp, rollicking with handclaps and howls before petering out exhausted by the end. There's a lot you can do with eight talented musicians, but the epic route isn't the only way you can go with a troupe this size. Drake pulls off his rowdy Americana just as well, and probably has more fun along the way. 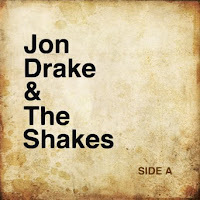 With this tight package of an EP, Jon Drake plus Shakes prove that you don't need to be taking on a masterpiece to sound fantastic. SIDE A is available to download in its entirety for free at the band's Bandcamp. You can catch Jon Drake live this weekend at Uncommon Ground with Matt Wilson on Friday the 15th and with the Breakers at Temple Bar on Saturday the 16th. Show details are here and here.